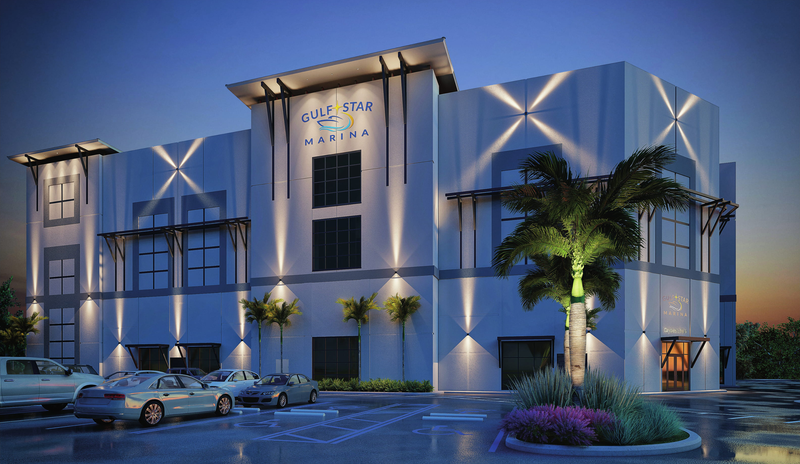 Gulf Star Marina, located at Fort Myers Beach, Florida, is set to be the world’s first “Smart Marina” using ASAR technology provided in partnership with GCM Contracting. By removing the traditional forklift and adding a hydraulic, diesel free, electric powered, automated storage and retrieval system, Gulf Star Marina can deliver a vessel from rack-to-water faster than any other lift system in the marine industry. 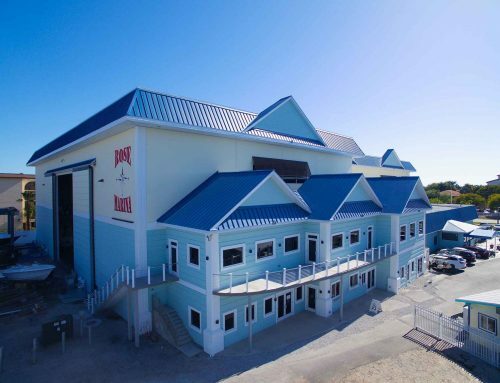 The building is set to be complete by June 2019, and will provide an indoor valet car parking service, refueling services, a ship store, open spaces, and possibly even a bait shop. 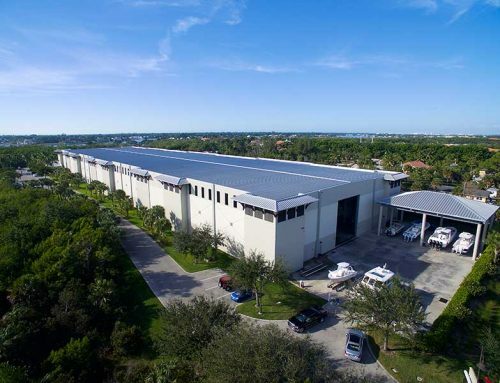 Because the building is built with concrete panels, instead of metal sheeting, it can withstand 200 MPH+ wind speeds, meaning that your boat will be safe from a storm or named hurricane. 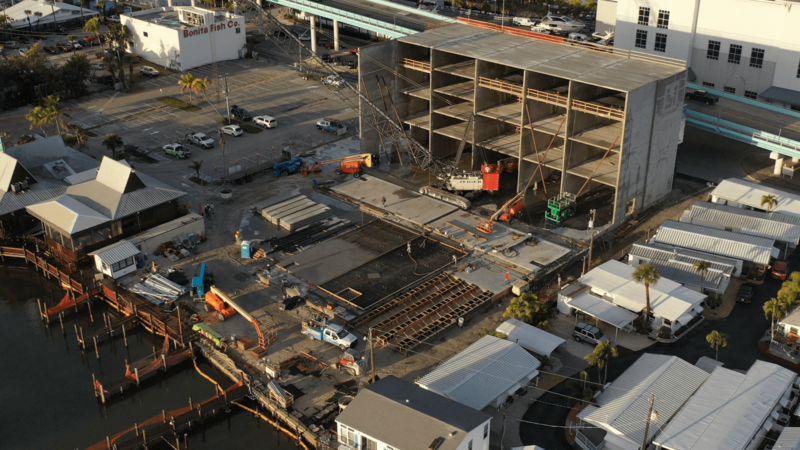 Construction of a 27,717-square-foot drystack boat storage facility. 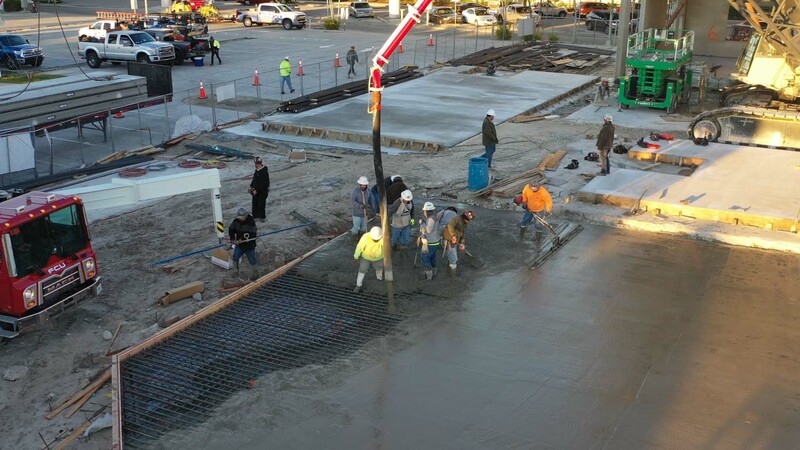 Concrete tilt-wall construction, 200+ MPH wind resistance, safe indoor valet parking. Here's a flythrough of our jobsite at Gulf Star Marina, showing our progress! 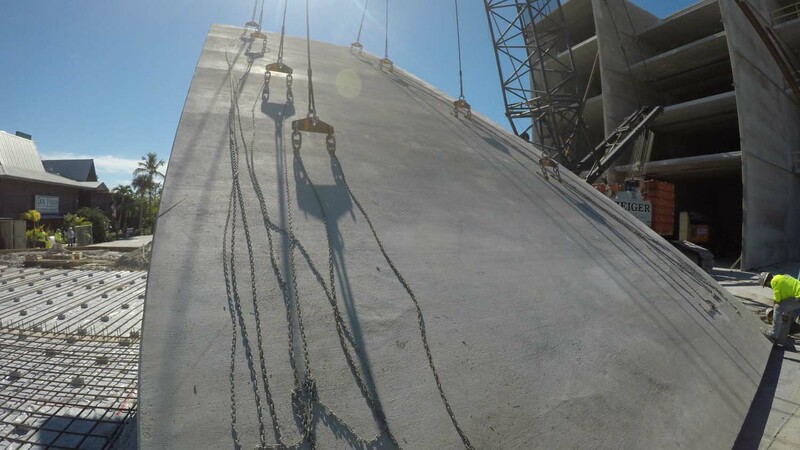 We're still working on forming, pouring and erecting our tilt-wall panels.